Russell Klase is an adrenaline junkie who seeks out thrill sports like skydiving, scuba diving, snowboarding, and creativity through art, music, and stand-up comedy. In the kitchen, he seeks a different type of thrill and creativity as Executive Chef and Head Butcher at Butcher’s Bistro and lead singer of their kitchen band, Boyz Under the Hood. Russell became mesmerized with cooking as a child during all-day events like rubbing down and roasting a whole 200 pound hog, or watching his father theatrically prepare Steak Diane dinner, a pan-fried beefsteak flambéed with brandy. “I didn’t get to see my dad very much…he always worked night shifts,” Russell says, “he would make us dinner right before he would leave for work…and I never really liked the dish…but I loved watching it flame up.” The opportunity of getting to play with fire charmed the budding thrillist to start experimenting as a home cook at the young age of 10, and as soon as he could legally work he took on his first job making ice cream, and at age 16 ran his first kitchen at a BBQ place. Russell has done it all, from food trucks, mom & pop restaurants, the Kevin Taylor Restaurant Group, and corporate ski resort kitchens…he has run the gamut. As I chat with Russell, it’s obvious he has the confidence of a well-spoken, well-educated, artistic and creative chef with a diverse background and experience. One of his biggest obstacles over the years, though, has been his youthful looks and age. Many kitchens would pass him over or not open the opportunity to him for growth. 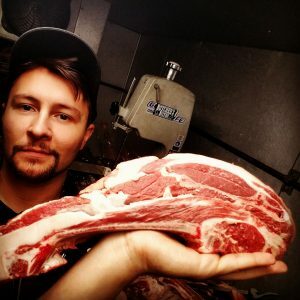 After attaining 2 degrees, at age 26, he stands as Executive Chef and Butcher at Butcher’s Bistro, a TRUE farm to table establishment (and no exaggeration here), in the prime location of Denver’s RiNo district. 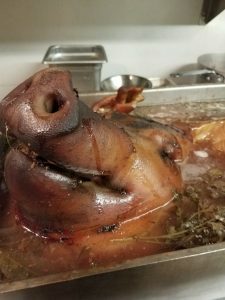 Chef Klase strives to use everything on the animal, offering whole pig-heads served broken down and prepared, buffalo testicles, and beef jerky that is dangerously addictive. Much of the “scraps” he is able to use in creative ways in what seems to be his pièce de résistance…his charcuterie! Charcuterie is the preparation of cured meat, originally intended to serve as preservation before the introduction of refrigeration. He is able to utilize nearly every bit of the meat, fat, and even skin with very little waste. To adhere to FDA regulations, he carefully ensures the proper techniques, and therefore, his charcuterie takes 6 months or longer to prepare. Although this is a significant investment in time, Chef returns to his thrill-seeking roots as a calculated gambler, experimenting widely with flavors…and it truly pays off with some of the most creative cured meats in town. But Russell’s ultimate goal for himself is to be able to express his creativity through brewing beer. 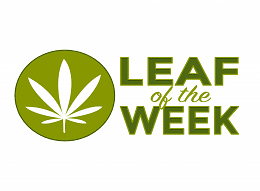 Over the years, along with his father mentioned at the outset, he has experimented at length generating over 200 recipes utilizing nearly every grain, fruit, and berry you can imagine. Watch for him in the future on the horizon of the craft beer scene! Chef Klase ultimate goal is to go into business with his father and start their own Beer and Butchery based restaurant concept. 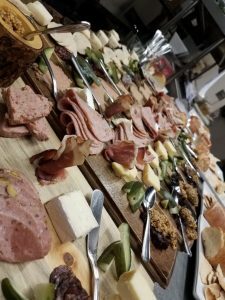 Calling Denver Food & Wine Fest, 5280 Denver’s Mile High Magazine, and Denver Eater come find out what this guy and Butcher’s Bistro is all about…rate, review, return! If you want these meatballs to be the most fantastic, juicy and flavorful balls you’ve ever had in your mouth, I highly recommend purchasing ground beef, pork and liver from our butcher counter. Combine Butcher’s Bistro ground beef, pork and liver in a large bowl. Add finely diced onions, minced garlic and eggs. Mix in all dry ingredients except bread crumbs. Blend bread crumbs into meat mixture, reserving 1/2 cup. Mix remaining wet ingredients in a separate bowl. Slowly add the mixture 1/2 cup at a time. The meat should be very moist but still roll into balls. If too moist, add bread crumbs until desired consistency is reached. Heat olive oil in a cast iron skillet. Sear meatballs in batches until meatballs are golden brown. Place meatballs on a baking pan and bake for 15 minutes. Allow to cool and oil to drain on paper towels before serving.